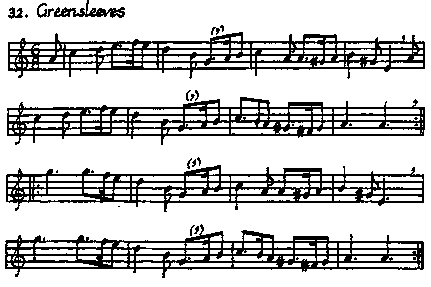 a lovely old tune which sounds delightful on the tenor recorder if played smoothly. The main use of the tenor will be in ensemble playing, for it will be found that the instrument is used in most trios, quartets and quintets. It is, in fact, the backbone of ensemble playing and when mastered will give endless pleasure.